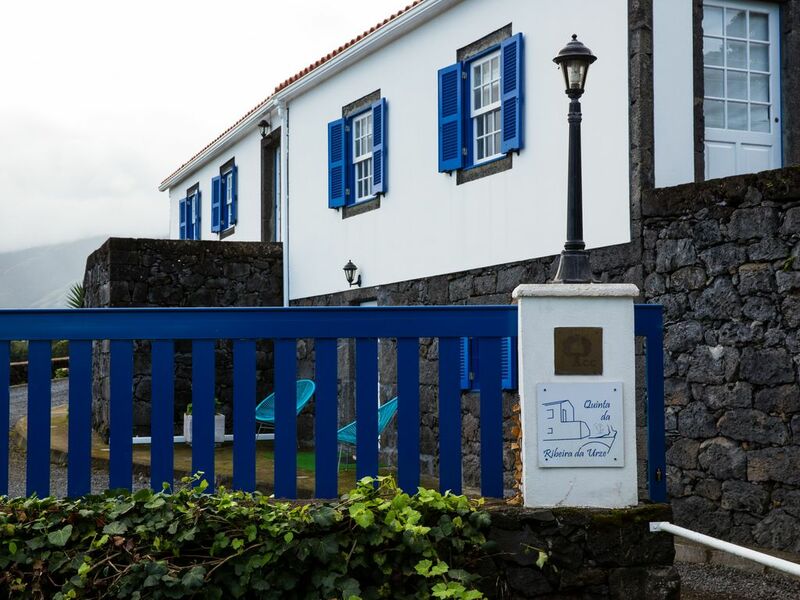 Situated on the north coast of Pico Island, Quinta da Ribeira Heather offers beautiful views of the sea and the mountains. Surrounded by gardens, this hotel is just 24 km from the Pico International Airport. With free Wi-Fi, these holiday homes are equipped with satellite TV and DVD player. The bathrooms have shower and bidet. Guests can prepare their own meals in fully equipped kitchens. They have refrigerator, toaster, microwave, oven and coffee maker. The nearest restaurant is located 3 minutes. a site can be made available to store luggage for free and guests can enjoy bicycle rental, also free. We offer a welcome basket with regional products. Prainha de Cima S. Roque do Pico. Pico Island, Azores. Oferta de cesta de boas vindas com produtos regionais; Wi-fi gratuito; Estacionamento gratuito; Bicicletas.